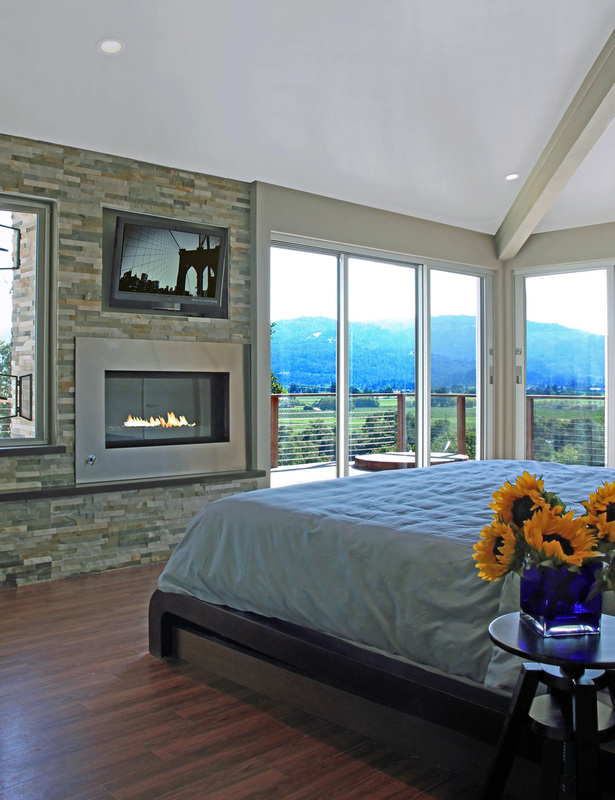 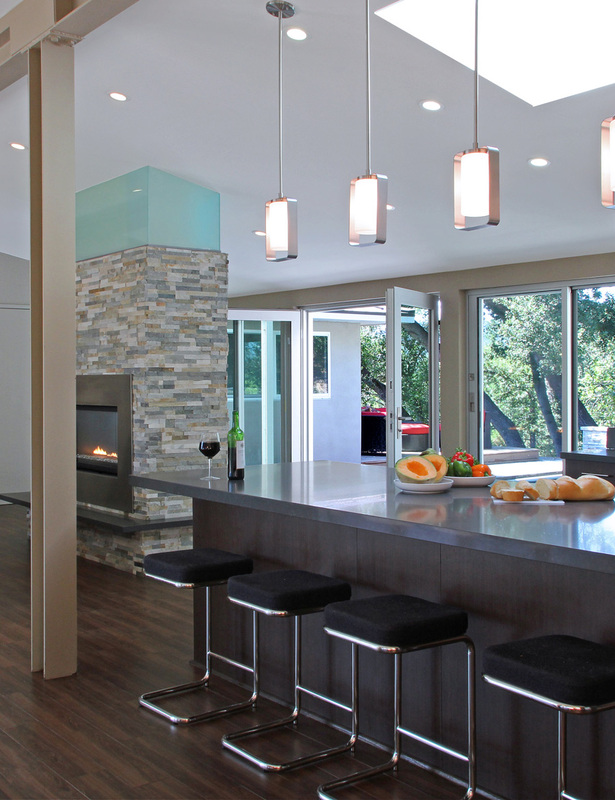 A Napa Valley Entire House Remodel of an existing 2,025 square foot Ranch House, resulting in an Open Pavilion Plan with Expansive Valley Views. 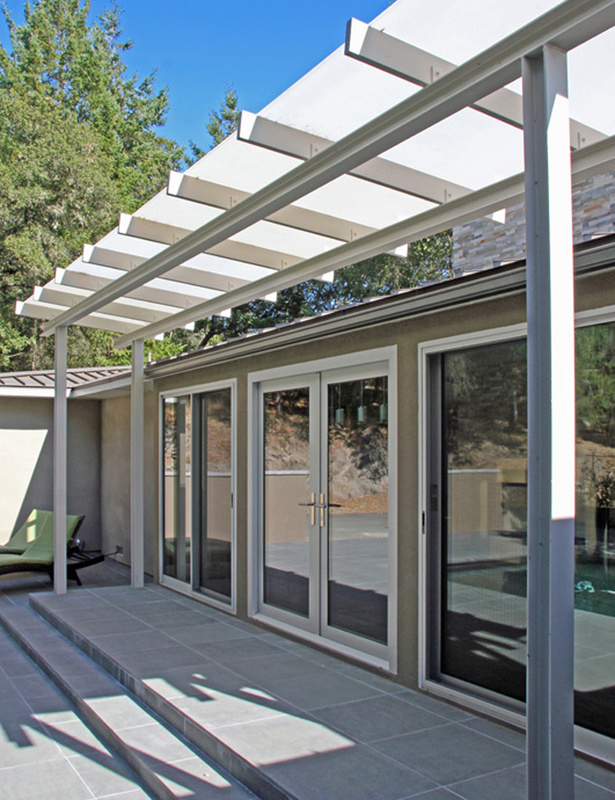 The Design solution was to gut the interior and add 242 square feet of Living Space under the existing roof eaves. 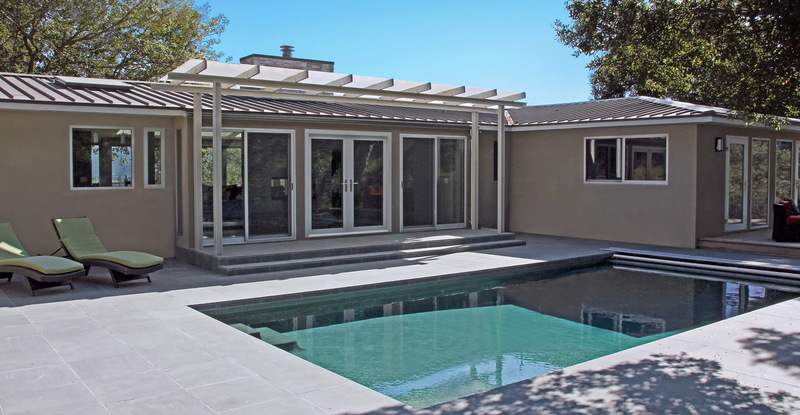 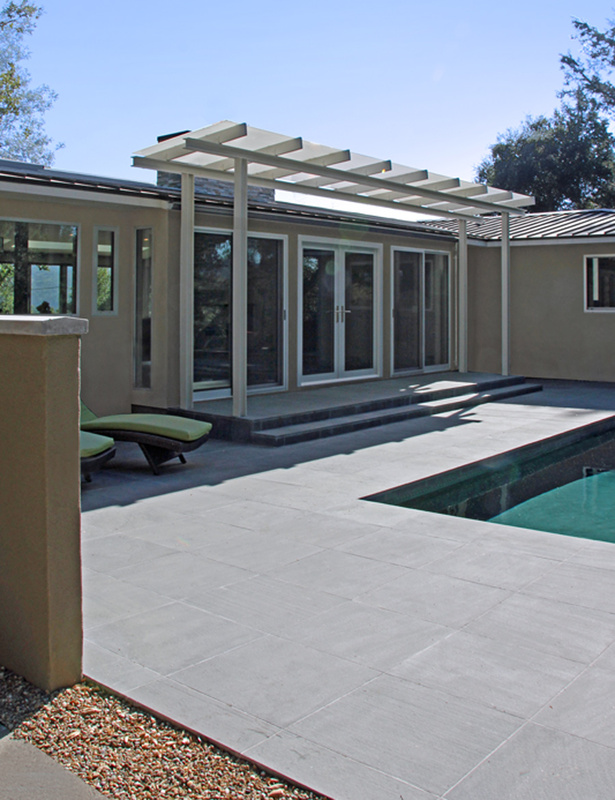 As a counterpoint to the Glass Pavilion with Expansive Valley Views to the West, A glass Loggia Entry was added, engaging the existing Pool opposite the Valley Views. 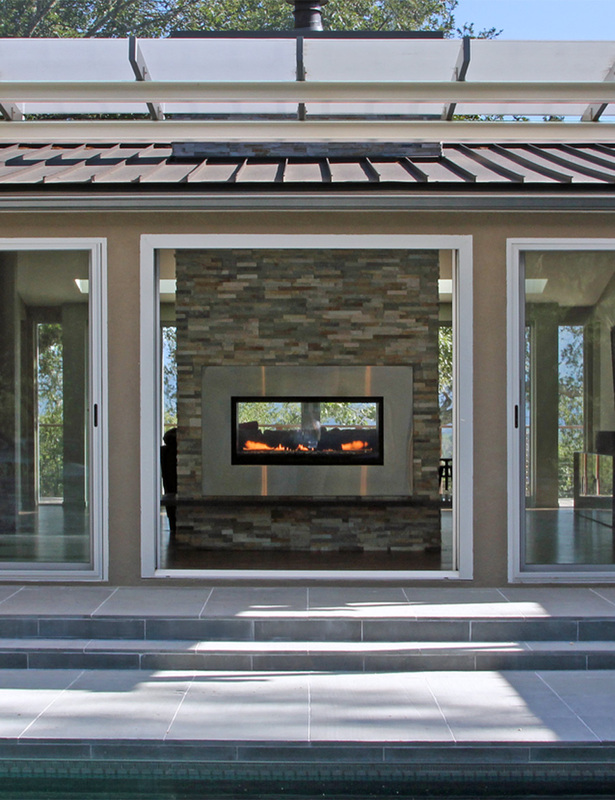 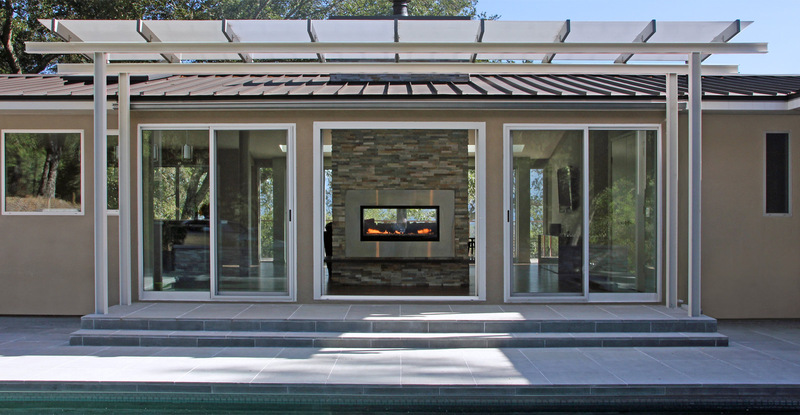 A strong Central Axis was created on which the existing Pool, new exterior Fireplace with Waterfall feature, new Entry loggia, new interior free standing see-through Fireplace, Main Living space, and the Glass wall with Expansive Valley Views were centered. 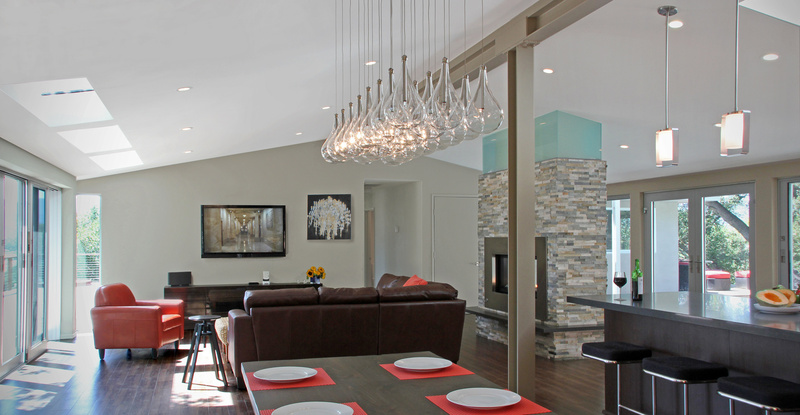 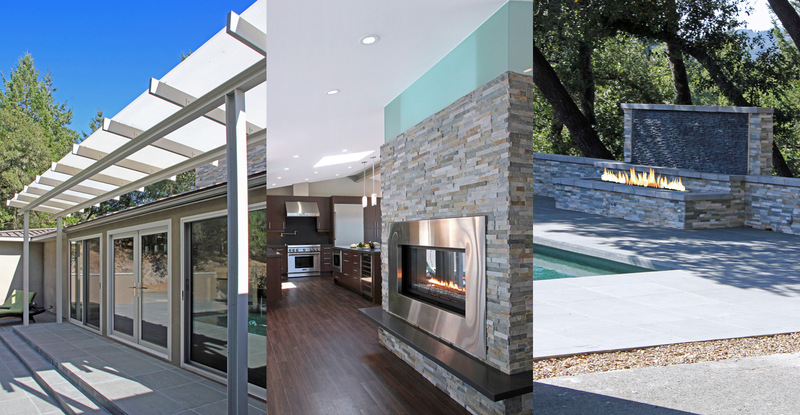 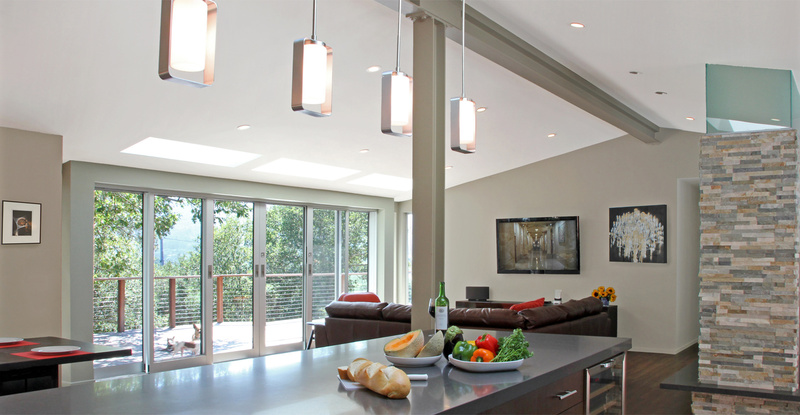 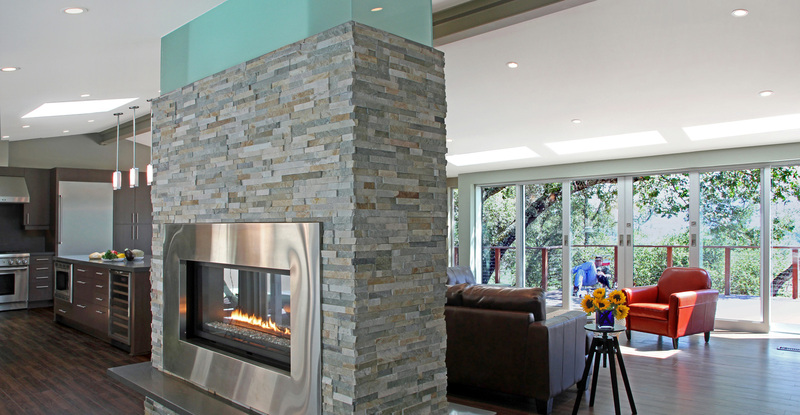 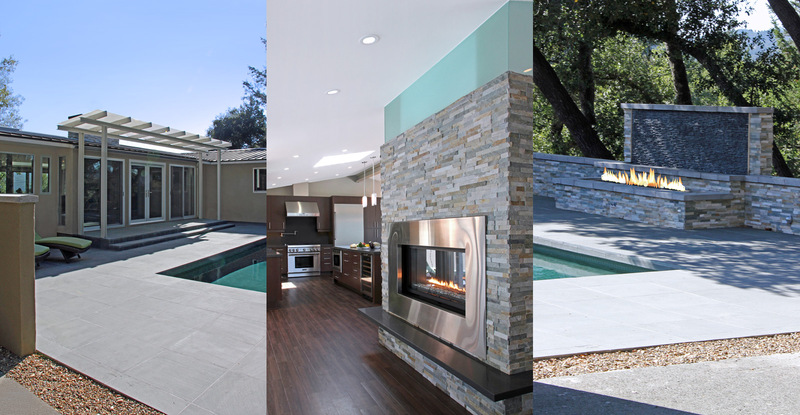 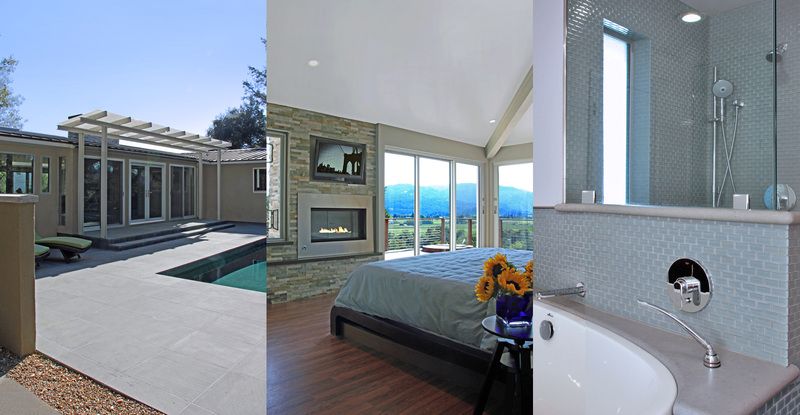 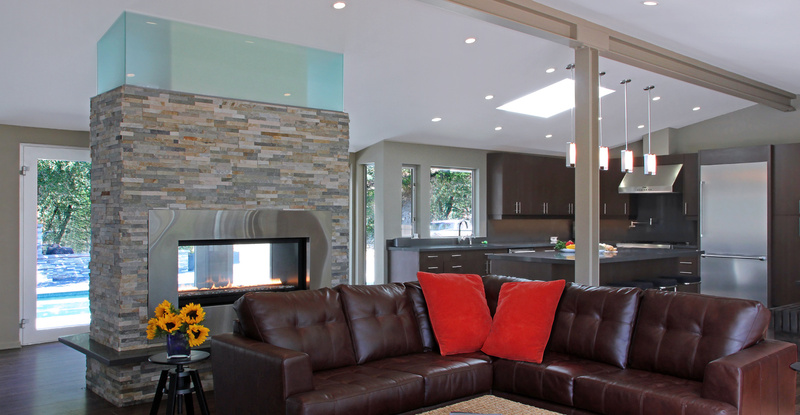 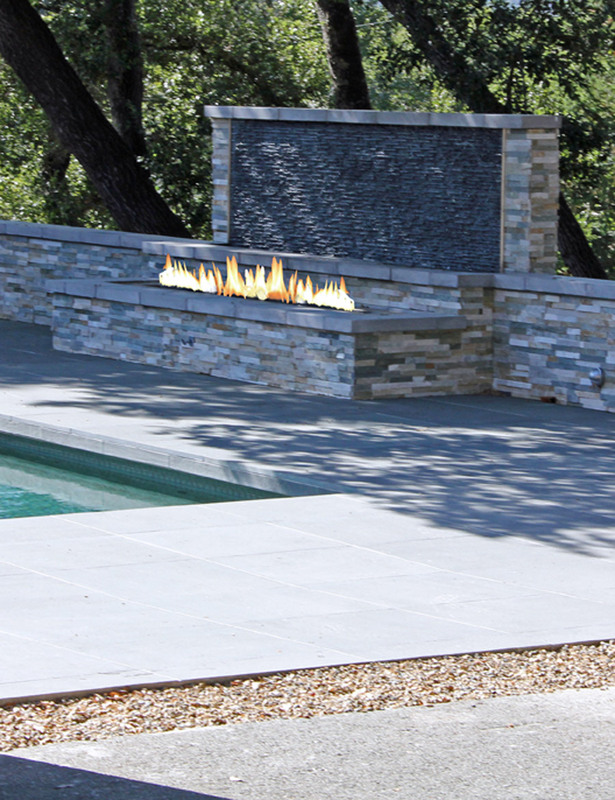 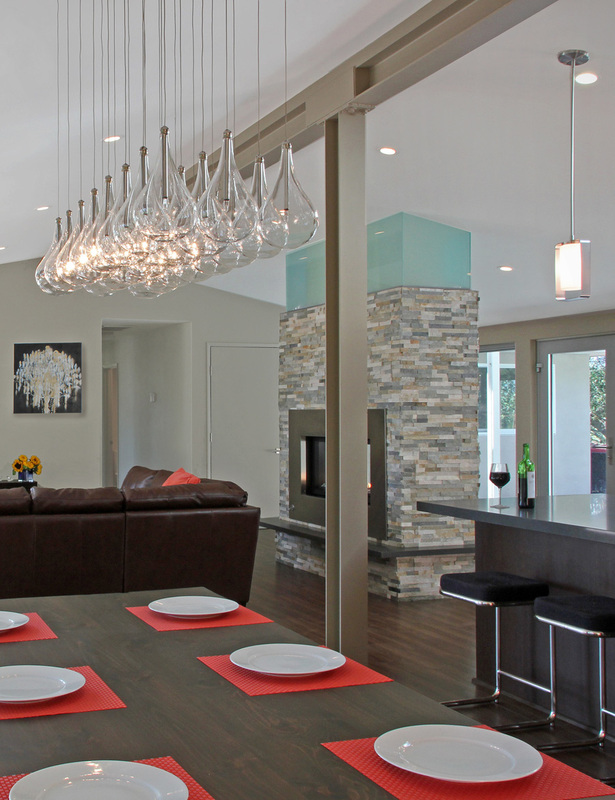 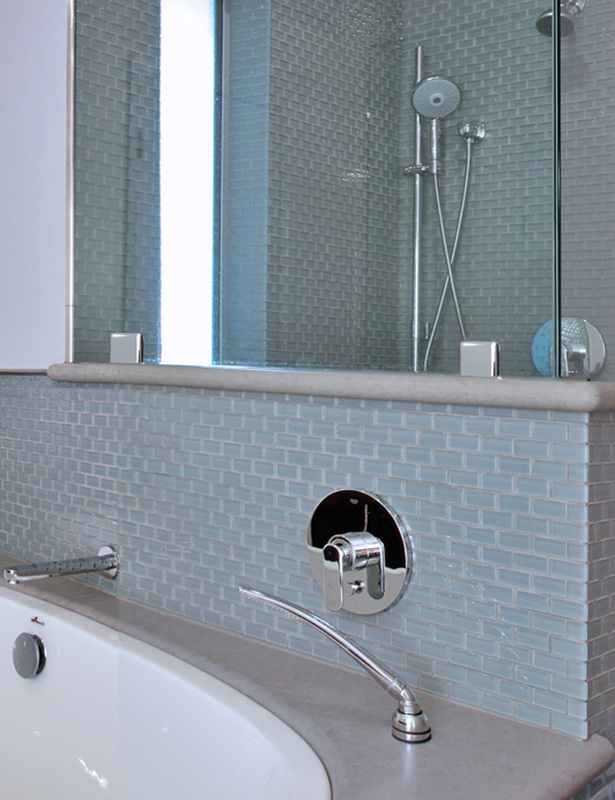 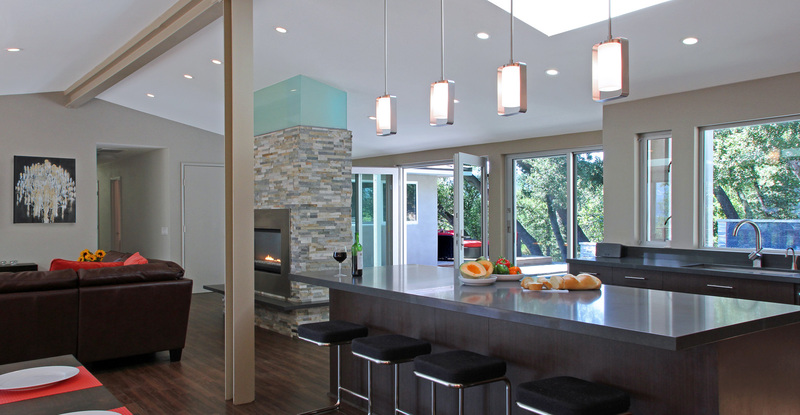 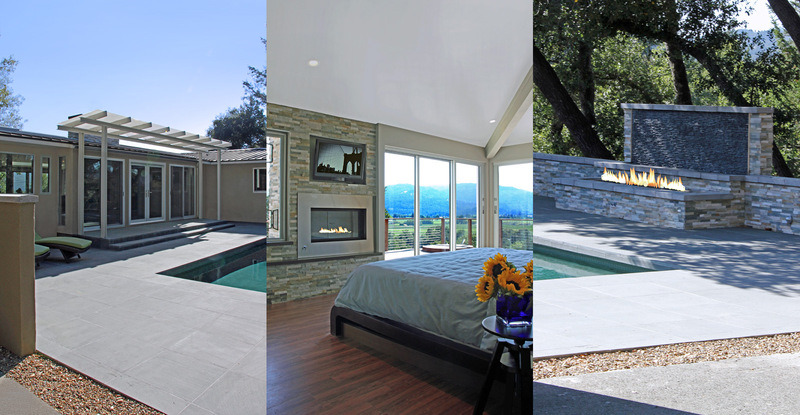 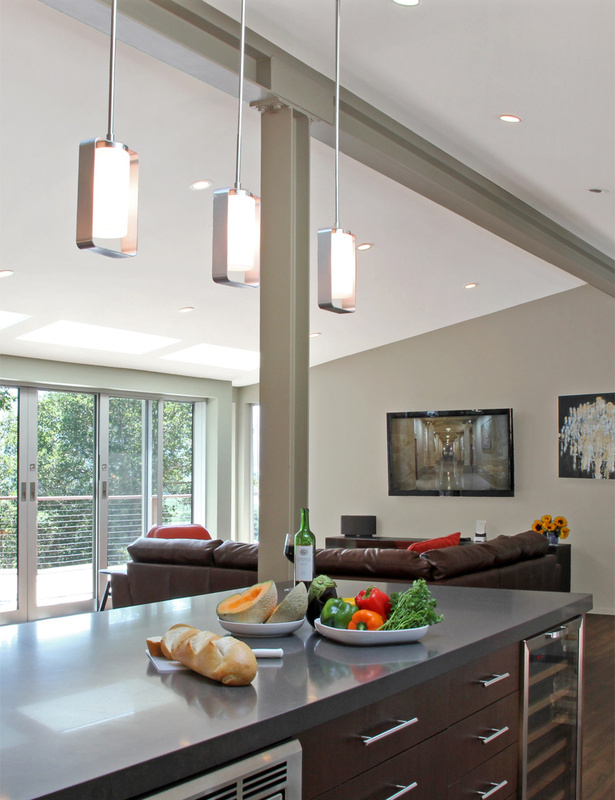 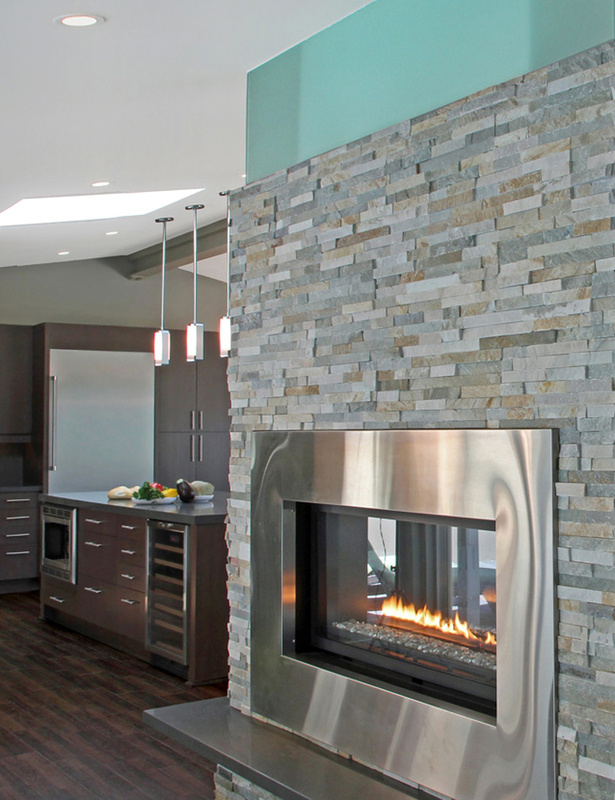 The Napa Valley Entire House Remodel features Bright, Modern Design throughout.